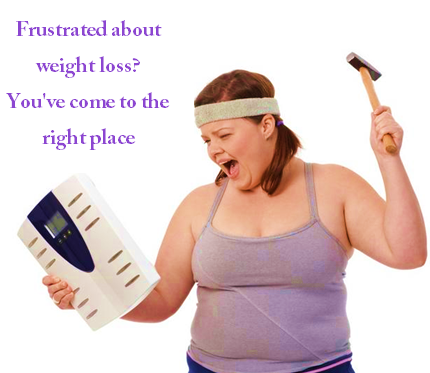 You are here: Home / Exercise and Weight Loss / Frustrated with Fat Loss? There are a few major principles that you need to adhere to in order to shed fat from you body and keep it off. Regardless of your baseline metabolic rate, you can choose to elevate your metabolism by taking the appropriate actions and thereby increase the rate at which you burn fat. In other words, your metabolic rate is not cast in stone. You do have the controls. Muscle cells burn fat continuously whereas fat cells merely store fat. When you incorporate strength training into your exercise habit you build muscle tissue and thereby increase your base metabolic rate. More muscle means less fat in the long term. Toxin’s do interfere with your body’s metabolic rate. Processed foods are loaded with toxins. One of the side effects of consuming toxins is that your body will try to lock away excess toxins in body fat so until you cleanse the toxins from your body, the fat will be difficult to remove. In order for you body to cleanse itself of toxins, you will need to eat clean food. This means avoiding processed foods as much as possible and replacing the dead calories with foods that can be placed on your plate in their natural state or close to it. In other words always favor the raw apple over apple juice or baked apple pie. In order to safely and effectively lose weight, you daily calorie intake needs to be short by 100-200 calories. To be able to maintain that deficiency you will need to learn about food portioning, at least initially. You can use these set of principles to change your approach to eating one meal at a time. Incorporate as many of these ideas into your lifestyle and eventually you will attain your desired body weight goal, keep the weight off and reap the health and vitality benefits for life. Weight loss resistance can be one of the most discouraging and disheartening things about trying to take off excess weight. The struggle is real and it creates guilt, anger and sadness if not dealt with. You must remember that although you find yourself in this position at the moment that you are not defeated. You can work to fix this issue when you turn your hopeless feelings into belief and your discouragement into enthusiasm. Renew your efforts to discover the underlying cause of your weight resistance; address it and watch the weight roll off. This is one time when you actually do have “everything to lose” and nothing to gain.